Sometimes the color white gets a bad rep. "If I wear white, I'll probably get a stain on it," is a comment we hear often or "I can't wear white because I'm too pale." Now there's a way to wear white but it doesn't involve worrying about spilled spaghetti sauce and guess what? It will make you even paler! The premium quality makeup is exactly what you need to get a beautiful alabaster glow. Throw away any tanning products you may have because pale is in! Pick up a whole bunch and make your whole body an opaque white color. You may even start a new trend! 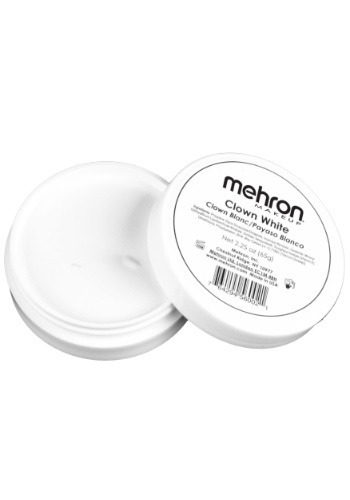 This premium makeup is ideal to use when dressing up as a silly clown (or a scary clown too.) This is also ideal to use when dressing up as the Easter bunny or when wearing a skeleton costume.